When you're planning activities for children, it can be challenging to find ways to include both multi-disabled children as well as those with regular abilities. But a disability doesn't need to lead to segregation. With the right equipment and activities, you can ensure everyone feels included and participates while at the same time instill in children an understanding of the need for compassion and tolerance for differences. Explain to the class about a child's disability and what it means for his level of physical activity and participation, suggests the Constitutional Rights Foundation. Intolerance for differences often stems from ignorance, and taking the time to talk to the kids about the disabilities can help them feel more comfortable in including a disabled child in their activities and games. Ask or arrange for adaptive equipment to be brought in for the disabled child. Education World notes that assistive devices that move, talk and hear for disabled children can often help to bring their skills to the level of their peers. While school boards may not have the funds for such devices, fundraisers, insurance and parental donations can help secure the funds to bring the equipment in so that the disabled child can participate. Modify games, sports and activities so the disabled child can play. For instance, the Cure Our Children Foundation suggests having all of the children play a game like Sitting Volleyball, in which the net is lowered and the children play from a sitting position. Not only does it allow for inclusion of the disabled child, it can help cultivate understanding and tolerance in the other children when they are able to experience the same limitations as their classmate. Assign an older student, teacher's assistant or aide to help the disabled child participate in the activity. While a child in a wheelchair may not be able to kick a ball while playing kickball, another child or aide could kick the ball and then push the wheelchair to first base. Children can take turns being assigned as the aide so that each child gets to be included while learning the importance of compassion, service, care and inclusion for the disabled. 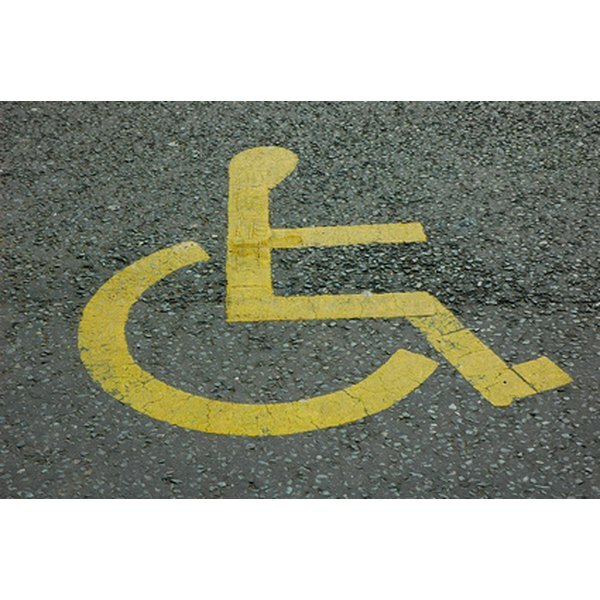 Offer options for disabled-only leagues, sports and activities, suggests AllBusiness.com. While inclusion in activities with nondisabled children makes for a good experience, a disabled child may feel more comfortable around other people with disabilities. Sports leagues, recreation centers and support groups all offer activities that allow disabled children to spend time with others like them and foster a sense of community and inclusion.